By: Duncan W. McKenzie Ph.D.
What if the commonly held beliefs concerning the Antichrist are mistaken? The Antichrist and the Second Coming looks at the Antichrist and the Second Advent of Christ from a preterist (i.e., past fulfillment) perspective and provides a unified interpretation of the little horn, the prince to come, the king of the North, and the man of lawlessness. McKenzie shows how the Antichrist was ultimately a spiritual ruler from the abyss (Rev. 11:7) that worked through Titus in his three-and-a-half-year destruction of the Jewish nation (AD 67-70; cf. Dan. 9:26). This spirit of Antichrist was about to come out of the abyss in the first century (Rev. 17:8 NASB) and was destroyed by the Second Advent of Jesus in AD 70 (a spiritual event). Continue reading to see how McKenzie convincingly makes the biblical case for this fascinating and controversial position, and what it means for us today. Dr. Duncan McKenzie is a licensed psychologist (Ph.D. in psychology) who lives in Los Angeles, California. 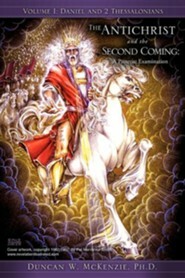 He has been studying Bible prophecy for the past twenty-five years. While he was raised on the popular prophecy teachers of the '70s and '80s, his studies since that time have taken him in a very different direction. 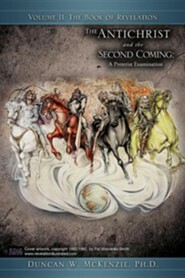 I'm the author/artist and I want to review The Antichrist and the Second Coming: A Preterist Examination.